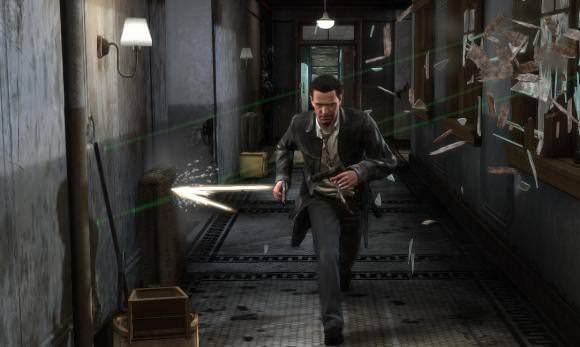 Sometimes this isn’t a bad thing, as evidenced by the action-packed third-person-shooter Max Payne 3, which once again drops embattled, world-weary, former NYPD detective and DEA agent Max Payne into a whirlwind of bullets, betrayal and painkillers. Welcome back, Max. 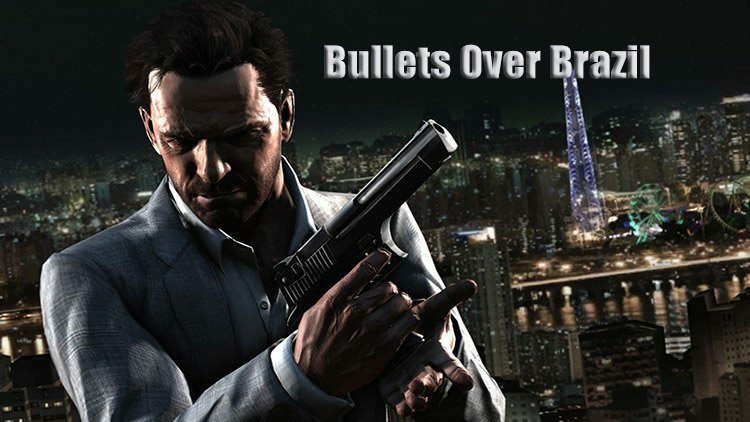 After a lengthy development process – long enough that I can only assume it took place in bullet-time – Max Payne 3, developed and published by Rockstar, was finally released in May 2012, nearly nine years after Max Payne 2: The Fall of Max Payne. The long wait was definitely worth it, however, because Max Payne 3 is an amazing game that brought back the series in spectacular fashion and became one of my favourite games of the PlayStation 3 console generation. The game begins with Max in bad shape, a functioning alcoholic washing down painkillers with liquor, having never gotten over the murder of his wife and infant daughter years before. Even so, and with his police career in tatters behind him, Max has managed to land a job as a bodyguard protecting the wealthy Branco family in Sao Paulo, Brazil, and this is where the majority of the game takes place. The sun-baked South American city may be a far cry from the dark New York streets of the first two games, but the heavy noir leanings which the series has always been known for remain and are once again implemented to great effect. After all, there’s a lot more to noir-themed fiction than just the more overt visual elements so closely associated with it. And besides, the game contains a handful of flashback levels which take place in New Jersey at night, and these levels are just as entertaining as the Sao Paulo levels, so they don’t feel like concessions but rather act as both nods to the previous games – the cemetery level features a few tombstones bearing names which long-time fans will be familiar with – and narrative tools to help flesh out the game’s story. Speaking of the story, it’s a suitably bleak and violent one containing some dark twists, but even so there remain occasional sparks of hope and frequent moments of black humour, the latter being something at which Rockstar have become adept. This balance of darkness and humour often comes across via Max’s personality, as at different times he can be morally outraged and vengeful, broken-down and exhausted, or sarcastic and witty. Just like me, then. All of these aspects of Max’s character are expertly brought to life by actor James McCaffrey, who voiced Max in the previous two games and who Rockstar thankfully brought back for the third. McCaffrey has always been excellent in his portrayal of Max but he is better than ever here, cementing James McCaffrey / Max Payne as one of my two favourite voice actor / videogame character combinations, the other being Simon Templeman / Kain from the Legacy of Kain series. Although a few of Max’s lines of dialogue can be a little overwrought, this has been the case since the original Max Payne, and these lines still work well within the noir style presented by the game. It also helps that McCaffrey’s delivery is always enjoyable. In fact, the voice acting and writing in general are both high in quality, helping to immerse the player in the story and the game-world. The only exception for me in regards to the writing is one glaringly out-of-character moment for Max, but this is a minor complaint which only really stands out due to the strength of the rest of the writing. 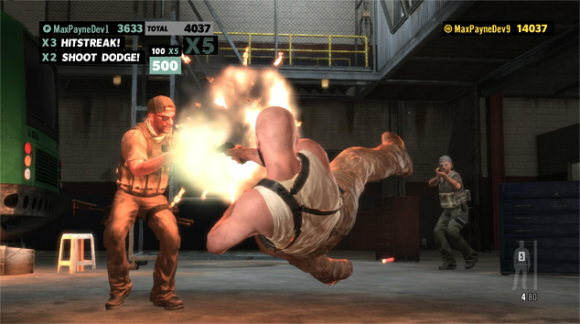 The bullet-time-infused gunplay for which the series is renowned is more enjoyable than ever in Max Payne 3, the combat being enhanced this time with the inclusion of a proper cover system, which works well and adds depth to much of the action. Diving through the air in slow-motion, blazing away with two semi-automatic pistols – or a shotgun or assault rifle or whatever your weapon of choice – is even more fun than it used to be, while impressive physics and animation help to give the combat a hard-hitting sense of weight. 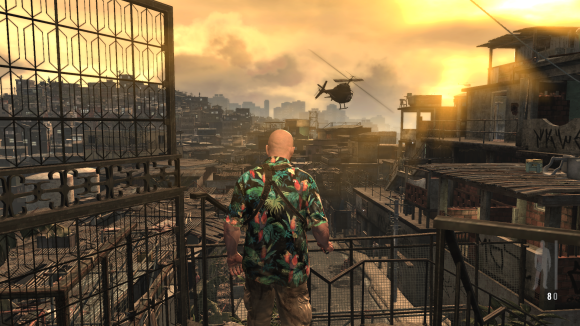 Although the combat is frequent and thrilling, it’s worth stopping to admire the view from time to time, as the graphics in Max Payne 3 are stunning. From the characters to the world they inhabit, the level of detail and polish clearly present in the game’s visuals is extremely impressive. You can even rotate the camera while the game is paused if you want to take a breather and soak in the visuals as bullets are flying all around you. The game’s soundtrack also deserves a special mention. While the fantastic and brooding main theme from the previous two games makes a return, the majority of Max Payne 3’s soundtrack is provided by “noise rock” (that’s a thing, apparently) band Health. 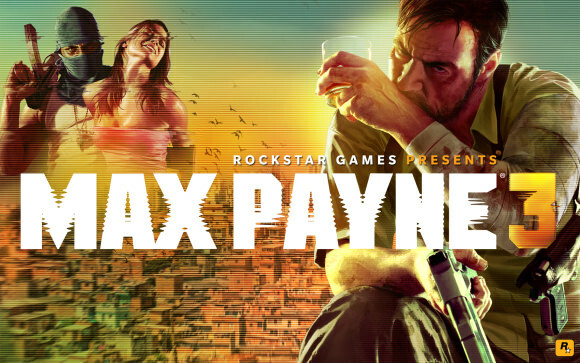 While their band name may be dull, their music for Max Payne 3 certainly isn’t, as it provides a perfect accompaniment to many of the levels and cut-scenes, from tracks such as the haunting and melancholy “Torture”, to the pounding and adrenaline-pumping “The Girl”, to the bleak and synthesised “Max: Panama”. In fact, there’s a moment near the end of the game when a track suddenly begins to play at a certain point during gameplay, and this moment is such a perfect blend of gameplay and music that it gave me chills the first time I experienced it. In fact, I’d list it as one of my most memorable videogame moments of recent years. 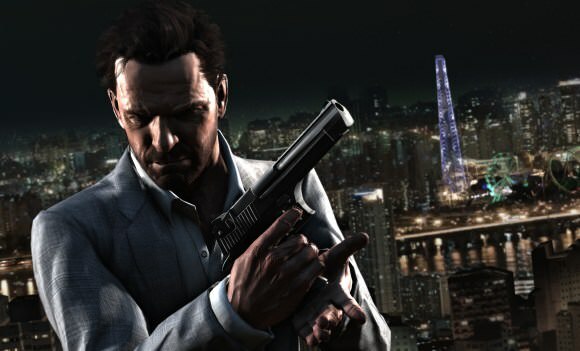 While Max Payne 3 may be an action-focused game, that doesn’t mean it’s a brief, shallow experience. The story is a lengthy one and there are several difficulty modes to choose from; also, each level contains a number of secrets that enhance the story and certain characters, so there is certainly an incentive for exploration beyond admiring the game’s environments. There are also two arcade-style modes, New York Minute and Score Attack, the former tasking the player with barrelling through the levels while under the pressure of a time limit, while the latter introduces a points system that challenges the player to kill with skill in order to rack up the highest possible score. 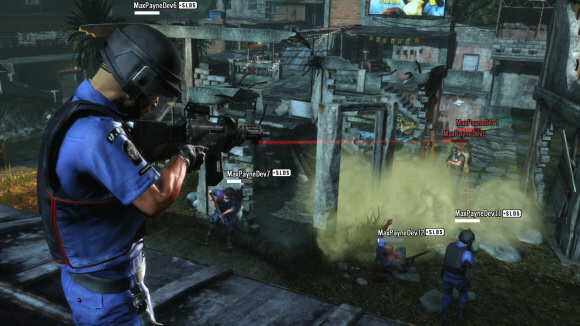 There are numerous challenges included – “Get 100 headshots”, “Kill 25 enemies while lying on your back”, etc. – although these are unobtrusive and you’re free to ignore them if they hold no interest for you. 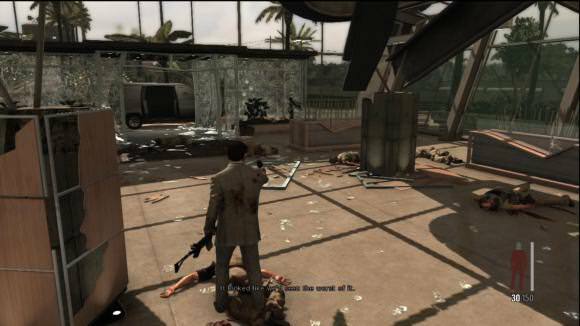 Personally, I’m not usually bothered about the inclusion of such challenges in the games I play, but on my second playthrough of Max Payne 3 it was fun to use them to play the game in ways I’d only dabbled with before, such as using unfamiliar weapons and grenades more often. The reward for accomplishing these challenges is experience points which contribute towards your level progression in Max Payne 3’s online multiplayer mode. Like so many modern videogames, Max Payne 3 wasn’t exactly crying out for a multiplayer mode but received one nonetheless. However, it’s to Rockstar’s credit that although it may not be particularly innovative, the game’s multiplayer mode is a fairly deep and fun addition that doesn’t feel lazy or tacked-on for the sake of it. There are a number of different match types, some competitive and some cooperative; a large amount of customisation options in terms of your avatar and weapons / skills load-out; and some varied and interesting maps. I don’t spend a lot of time playing games online but I always make a point of at least trying out the online multiplayer mode of any game I buy, and Max Payne 3’s multiplayer mode entertained me enough that I bought the game’s season pass (at half-price – I’m not a total idiot) to acquire all of the DLC it contained. Although frankly I did this more as a way of supporting Rockstar for creating an amazing game out of which I’d already had many hours of enjoyment. Yes, Rockstar may already be rich enough to fly around their offices in diamond-encrusted, solid-gold jetpacks, but that’s not the point. Still, in the end, the online multiplayer mode of Max Payne 3 is simply a bonus to the single-player mode, which is the real star of the show and the best reason to play the game. If you’ve never played the first two games in the series then don’t let that put you off, as Max Payne 3 may honour and reference its predecessors but it can also be enjoyed as a standalone experience, as all of the essential background information is laid out for you. 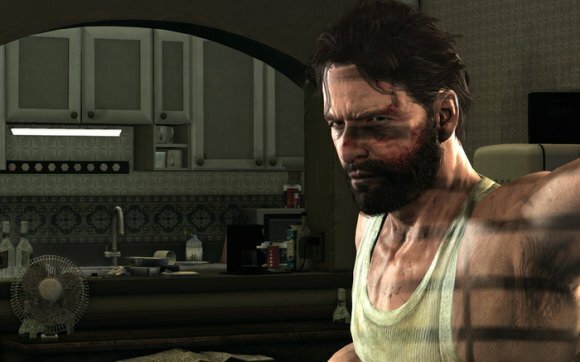 After a very long wait, Max Payne 3 proved that there’s still plenty of life in the old (but incredibly dangerous) dog that is Max Payne. There’s been no news on a fourth game in the series, and yet even if Max Payne 3 does turn out to be the end of Max’s journey, it’s comforting to know that he’s gone out in style. Max Payne 3 is one of the few games of its console generation that I’ve played through more than once (curse you, backlog!) and I could happily play through it again at the drop of a spent shell casing. “Time moves forward, and nothing changes.” While this isn’t always true, time certainly won’t change the fact that Max Payne 3 is an excellent and polished third-person-shooter starring a fantastically realised protagonist who we will hopefully see again one day. Don’t be a stranger, Max. This feature was originally published on www.eightandahalfbit.com in May 2014. Check out more Retro Reviews!